MacKenzie has provided evaluation and therapy services for infants up through adults in a variety of settings. 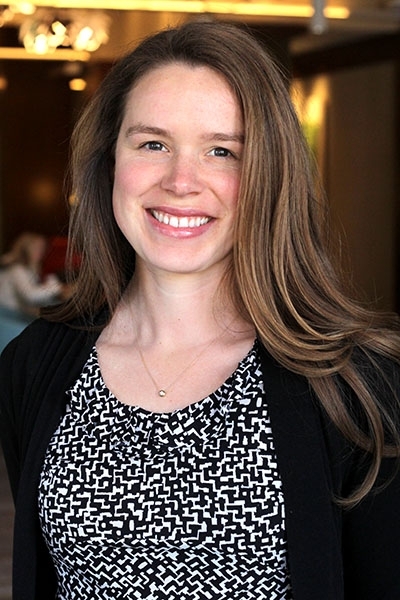 She has worked with Erin Hyer since 2010 starting as a certified Speech Language Pathologist Assistant with young teens, where she facilitated social groups and provided individual language-based therapy. She currently specializes in working with the birth to three population, focusing on early speech and language development, oral motor development, and parent training. She works well with families trying to navigate early intervention, preparing for preschool and kindergarten. MacKenzie received her undergraduate degree in Psychology and then Master's degree from the University of Vermont in 2014. She completed her Clinical Fellowship through Hyer Learning and Diagnostics. MacKenzie now holds a clinical and educational license in Vermont and is certified by the American Speech Language Hearing Association. MacKenzie is trained in oral-placement therapy, early childhood development, auditory processing, pre-reading development, language-based learning skills, and social-cognition. She continues to expand her expertise in working with young children with speech sound disorders, self-regulation, and processing deficits.